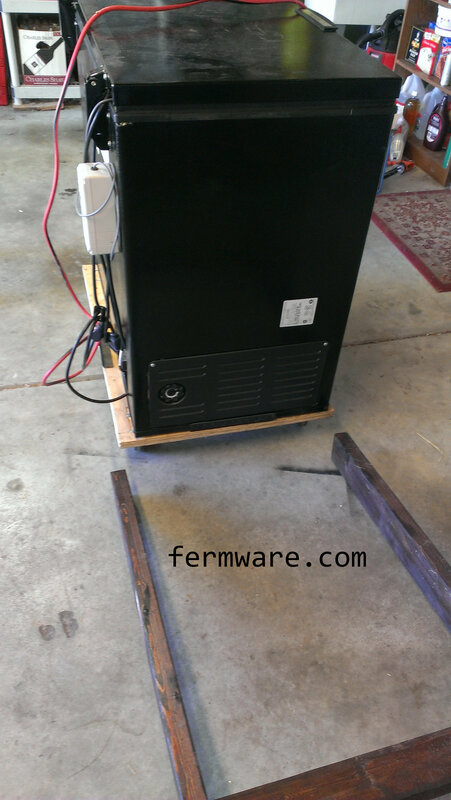 As I mentioned in the previous post (Part 3: Bicycle wheel attachment), the other feature about Mein Bierwagen that I think is cool, is the loading of my Keezer Dolly directly onto the cart. This post shows you how to do it. Using the ramp method, I can do it myself, but you’ll need two people at least if you just build it as a platform for your own Keezer. 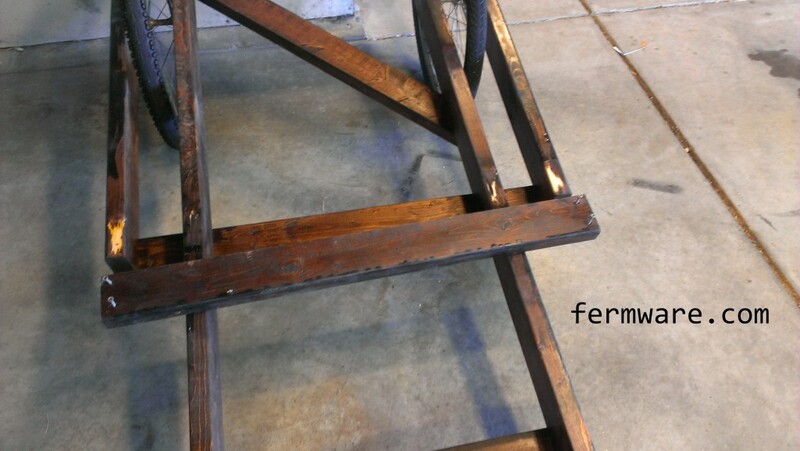 First you need to remove the support legs at the front of the Bierwagen. Then with it right side up, you’ll brace it against a wall. Next, you need to line up your keezer dolly at the tip of the cart. Notice, I haven’t installed the keezer collar yet. I wanted to make sure it wasn’t too tippy. 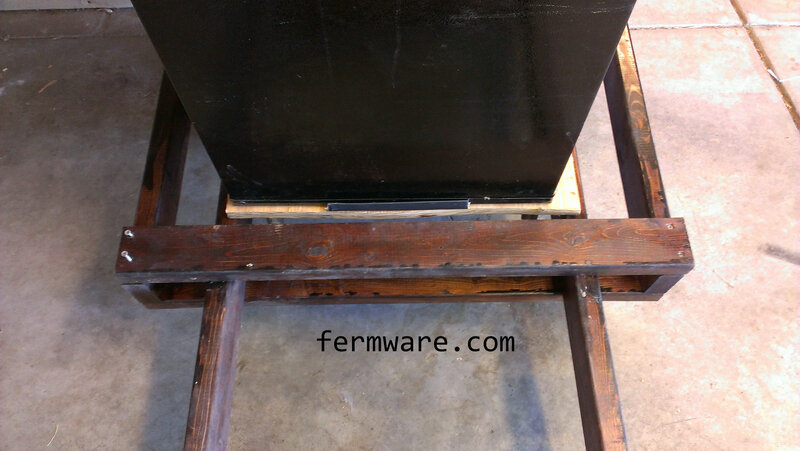 You can see that the keezer dolly just clears the leading edge of the cart. 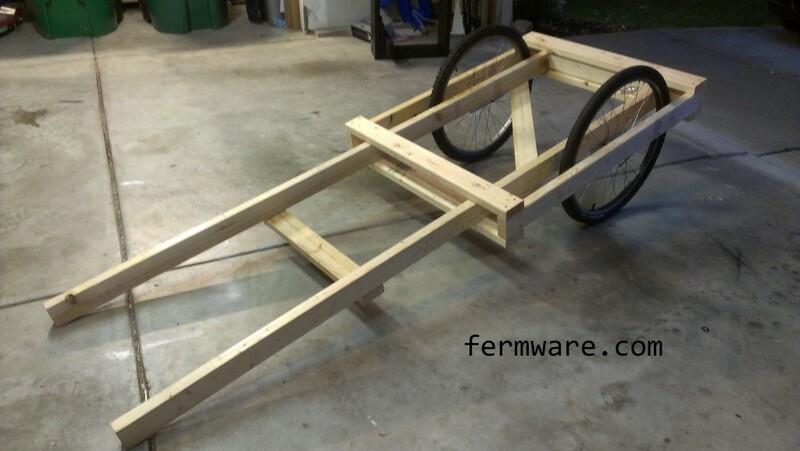 If yours isn’t tall enough, you can either cut the bottom side of the handles (front of cart) or lift up a bit to get it up on the rails. Keep pushing the cart up the “ramp”. 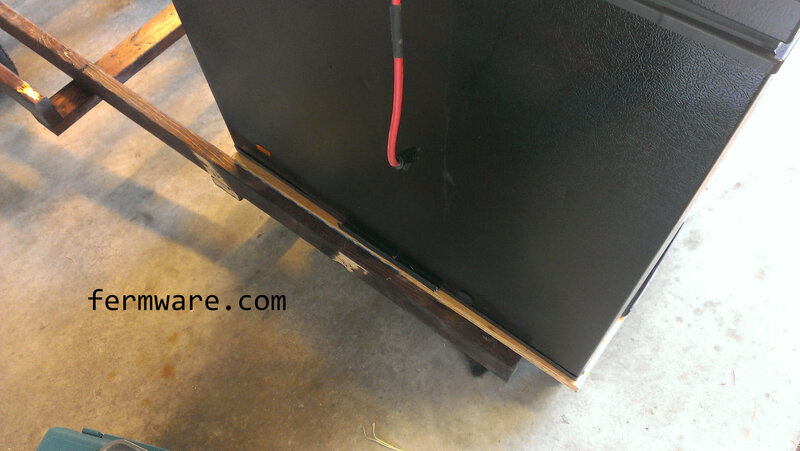 You’ll need to remove the lateral board to get the keezer all the way up. Then, once the keezer is all the way up, reinstall it. 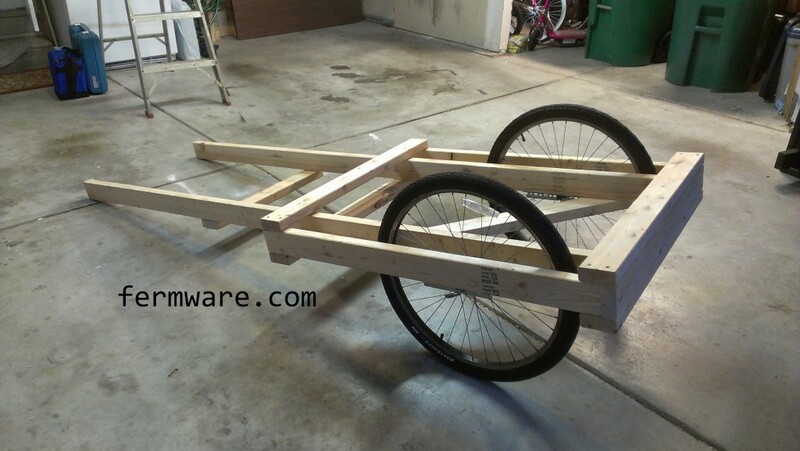 Now just wheel it over and prop the front up on something so that you can reinstall the legs. I used some jack stands and they worked great. There, look how happy it looks. Feed me! Besides being able to easily move my keezer to the backyard, the two coolest things about Mein Bierwagen are usage of bicycle wheels and the way I load the keezer on the dolly. I had searched around trying to find the best wheels for the job, but when buying wheels separately from something, you can sometimes pay more than buying a complete thingamajig that has the wheels in the first place. When working in the garage it hit me, literally in the head. 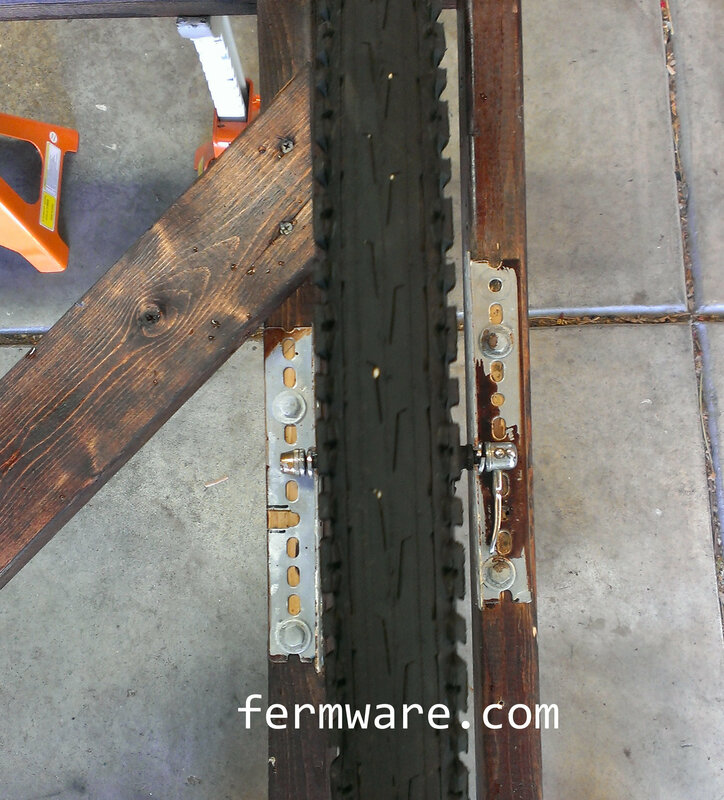 The tire of the bike hanging in the garage. Voila! 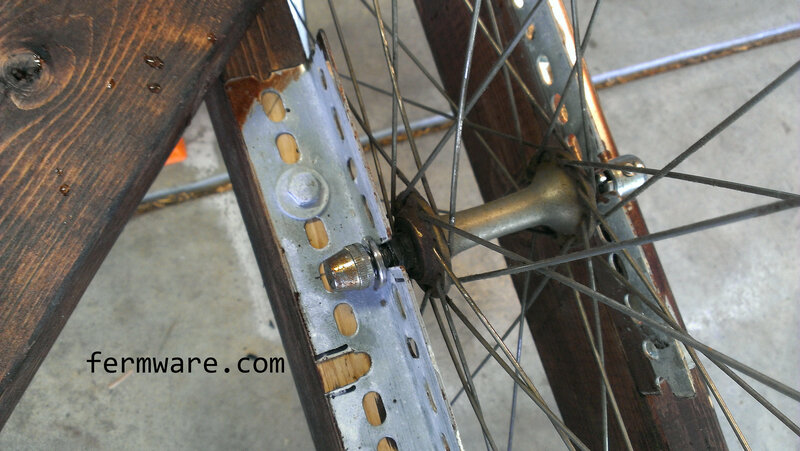 This post will show how to create and attach the bicycle wheels to the Bierwagen. I do use the cut off saw more frequently than I had anticipated. 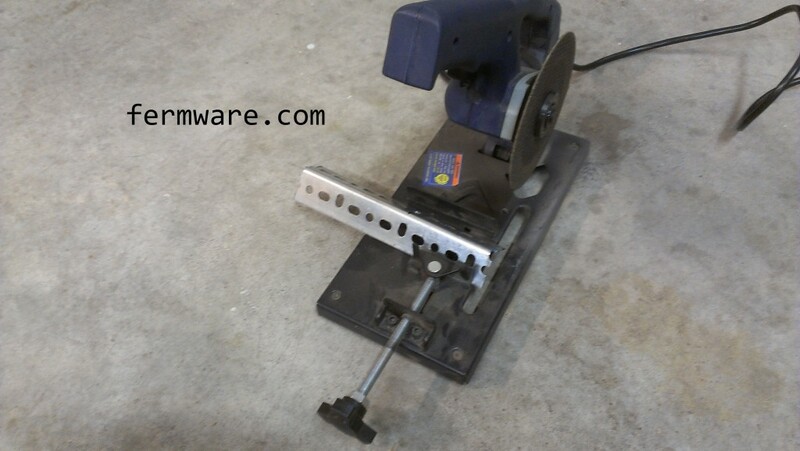 It’s pretty handy for cutting through metal bars and tubes. I got an inexpensive model at Harbor Freight. 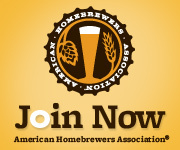 The step bits are really useful for other uses in brewing equipment. I’ve used them to create airlock grommet holes in bucket lids before and spigot holes as well. I think the most preferred method for putting holes in kettles is a hole saw or punch, but I think these would do a great job as well. 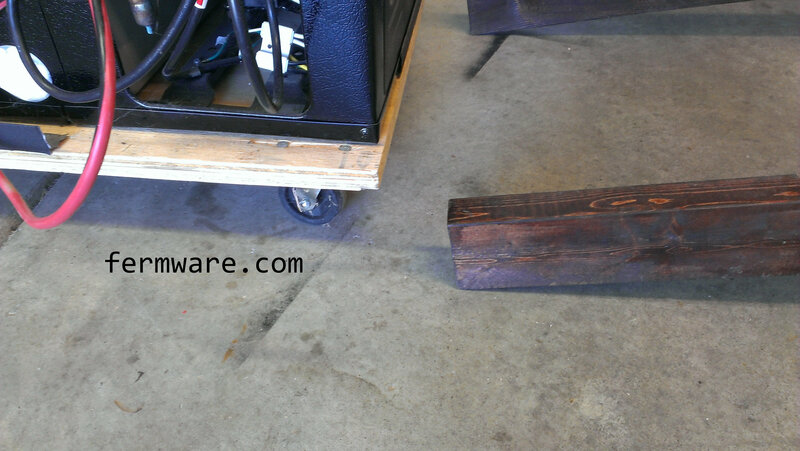 You might recognize the L-channel (AKA angle iron or L bracket) from the Keezer Dolly project. 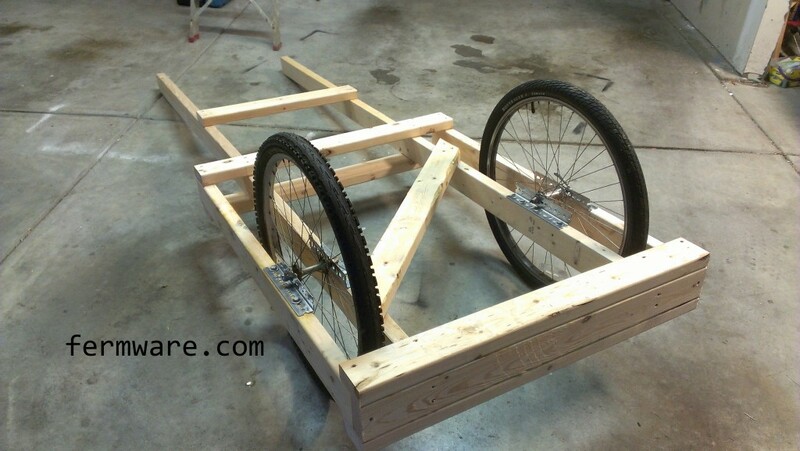 You’ll need 4 short sections to attach both wheels to the frame. I cut approximately 6″ sections. You’ll then pick one of the already round holes and open it up using the step bit. I measured the diameter of the opening on the forks of both of our bikes and matched the hole size on the bracket. 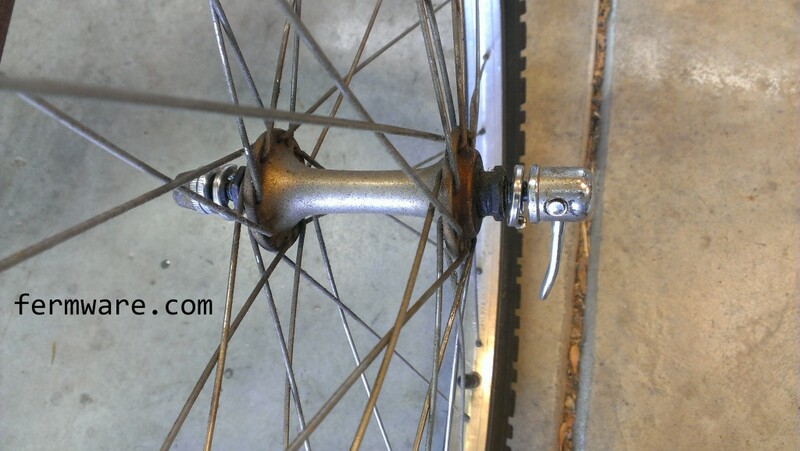 The wheel actually rides on a very narrow section of the axle that sticks out of the wheel hub on both sides, then a cam clamp snugs it up tight. After you have opened up the hole, you’ll need to make the hole a slot that the wheel can drop into. You are basically going to mimic what is on the bicycle fork. 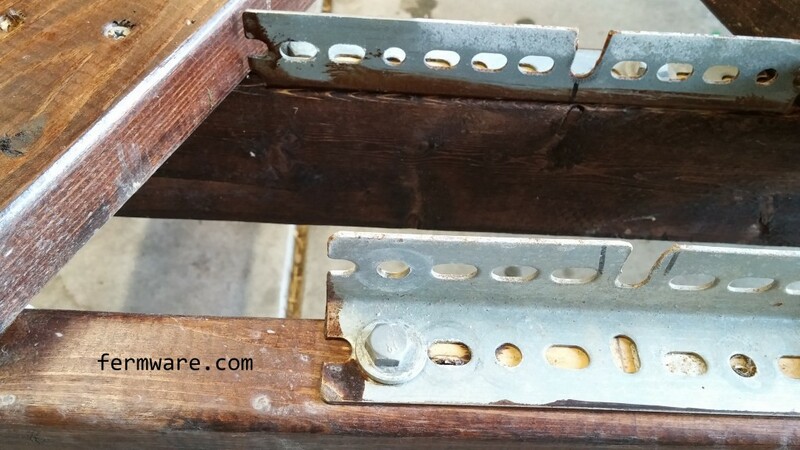 You’ll also want some lag bolts to attach the new mounting brackets to the frame. 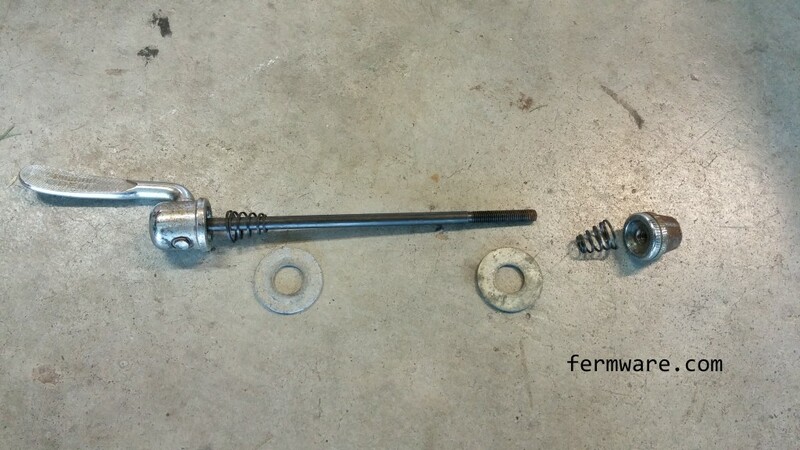 I used some 3/16″ lag bolts with a washer. This is where you’ll need some careful measurement and alignment. 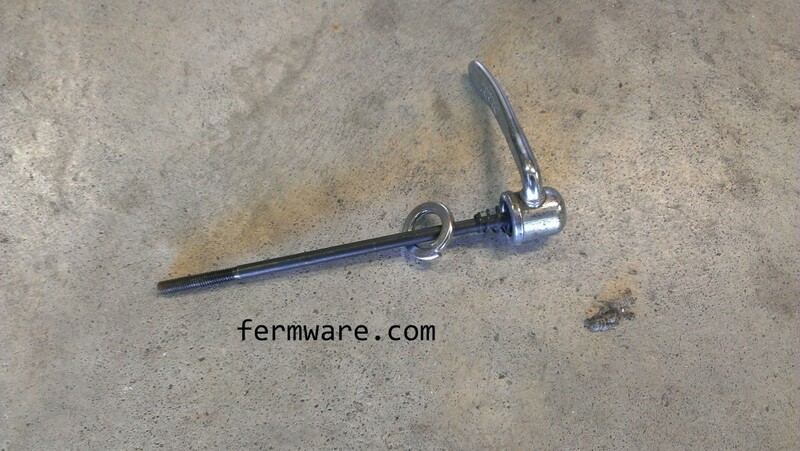 Since the L bracket is much thinner than the bike fork attachment point, you’ll need some washers to add thickness. The only washers I could find that were thick enough were some lock washers or split washers. They will stack up like shown in the pictures below. 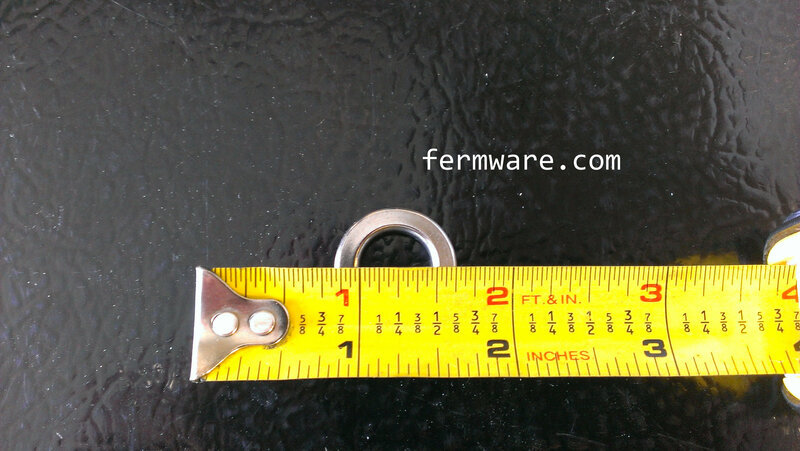 The important washer dimensions are shown below. My axles required a 1/2″ ID (inner diameter) washer to fit around the bearing surface of the axle. 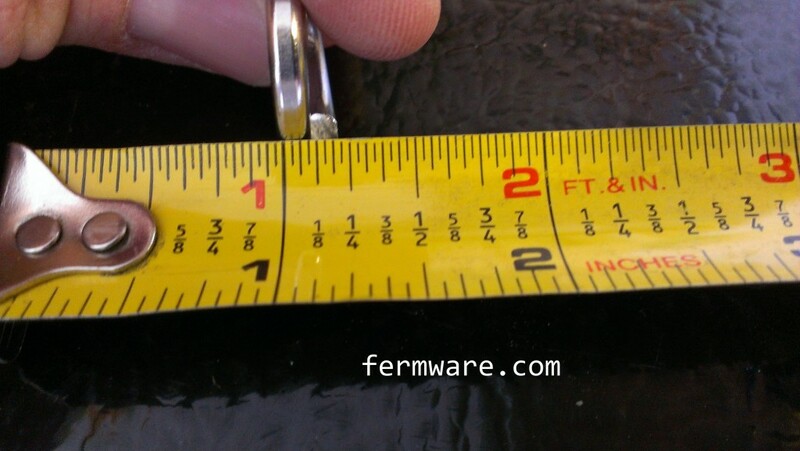 The thickness of the lock washer (when compressed) was about 3/32″. Here is an alternate arrangement that also works if you don’t need a ton of thickness. I’m going to use some car talk here. If you’ve opened up the holes properly on the brackets, you should still have a zero camber wheel angle. The main challenge will be to ensure there is zero toe, or the amount the tires steer in toward each other or away from each other. 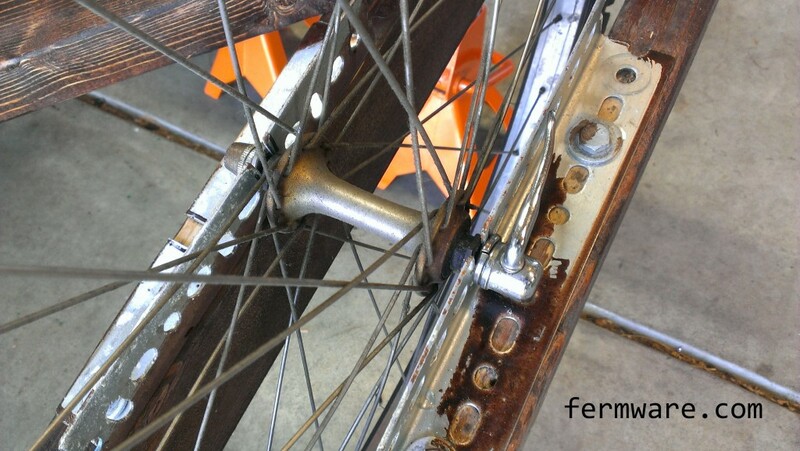 The best way to check this (making the assumption that your frame rails are straight) is to measure the distance from the bicycle rim at the front of the wheel to the frame rail and make sure that the distance from the rim at the back of the wheel to the frame rail is the same. If there is any error, you are better off with very minor toe-in (wheels pointed at each other at the front side). 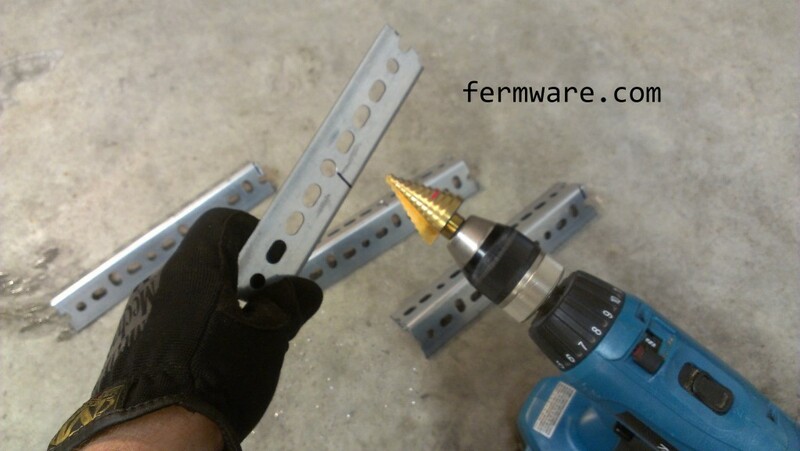 This may take some tweaking, so don’t secure the lag bolts all the way until you have your mounting plates in the right position. Here are some different views to show how everything goes together. There you go, bicycle wheels delivering calories, rather than helping burn them! 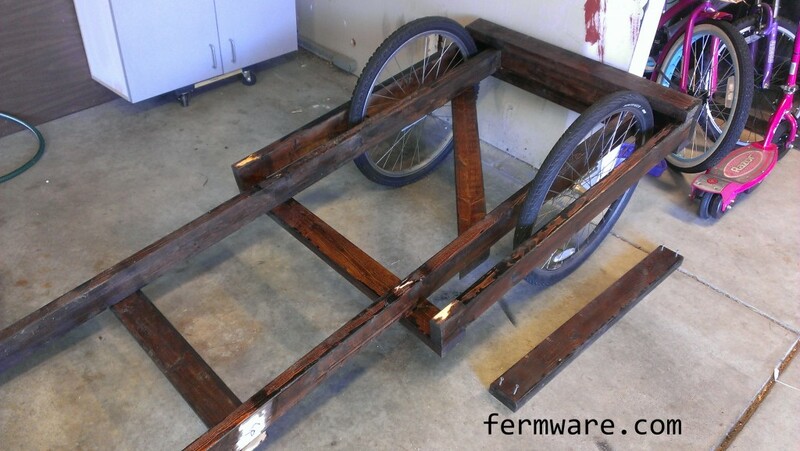 This post will present the basic plans to construct the wooden frame of the Bierwagen. 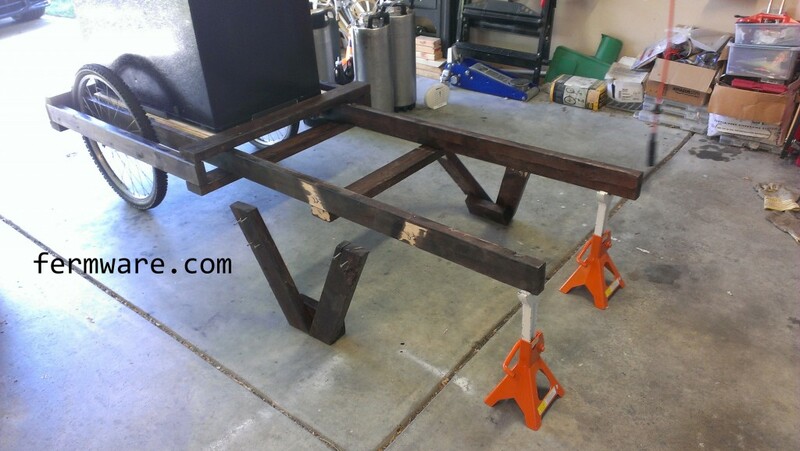 Here are a few views of the cart (without support legs attached) for reference. This is the cart flipped over so you can see the attachments for the wheels. The fabrication of those will be in a subsequent post. I’m not going to do a step by step, since the pictures and following information should be sufficient for most readers taking on this task. 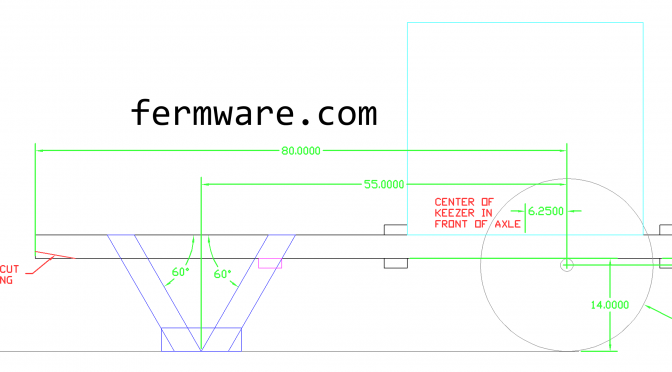 Below is the top view of the cart with only the major dimensions shown. 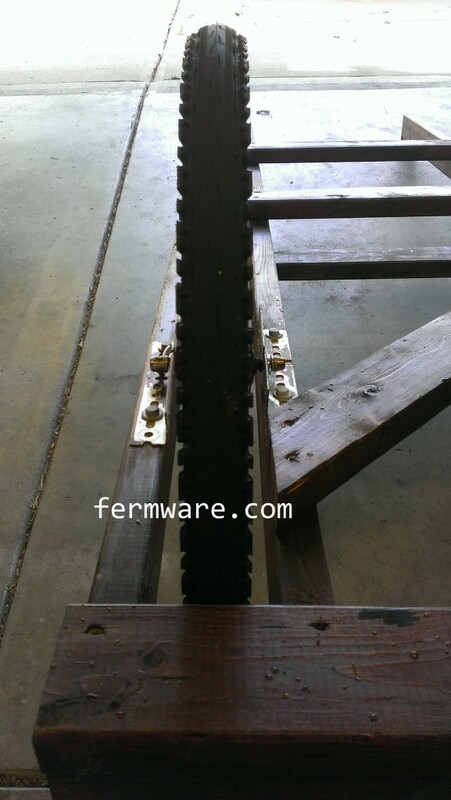 I had several constraints when designing the cart. As I mentioned in the first post, it will be rolled out for a grand unveiling at our party. It had a few obstacles to navigate during it’s trip from the garage to the back yard. The weight of the keezer must be carefully balanced so that the Bierwagen does not tip when set to rest, yet far enough back that lifting from the front is easy. You can see the profile of the keezer dolly on the top view to show that it is sufficiently in front of the axle line to prevent tipping. You’ll see in the loading/unloading post how it slides up the “ramp” to be set in place. 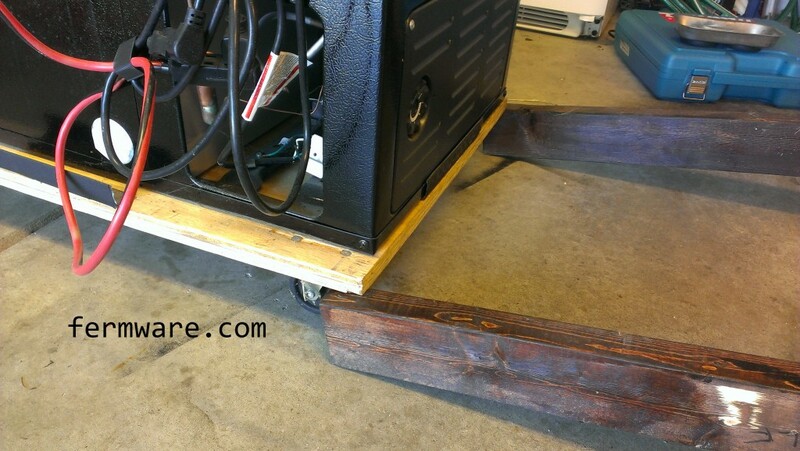 I added an extra 1/4″ clearance to the outer edges of the casters so that they would not rub on the frame rails when moving. I also had to add about 4″ of clearance for the bike wheels. The Bierwagen is probably overbuilt and pretty heavy to lift, but it serves it’s purpose that one day of the year where it counts! 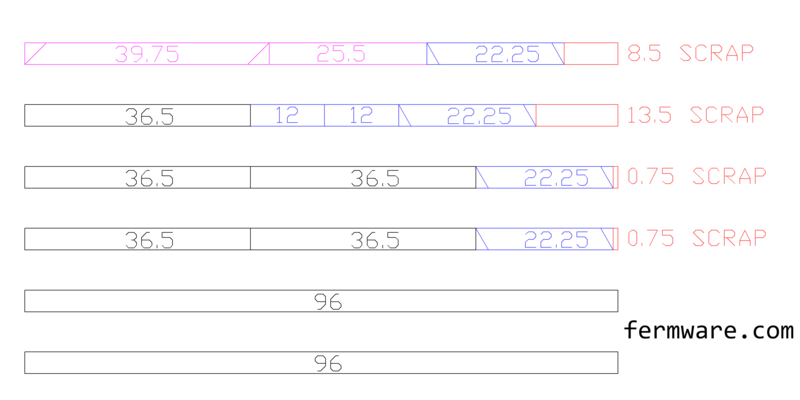 The side view shows all of the other major dimensions and locations of the boards. 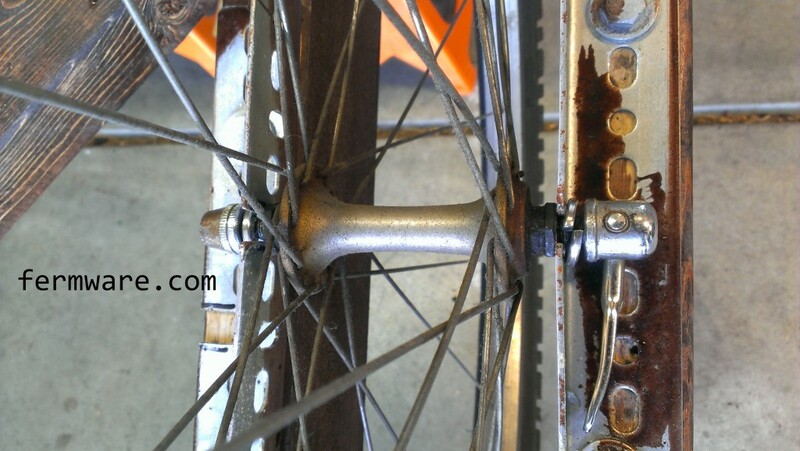 Again, you can see how the center of the keezer dolly is between the bicycle wheel axles and the legs. When changing kegs over during the party it is important to stand between the keezer and the legs. This will also prevent tipping. 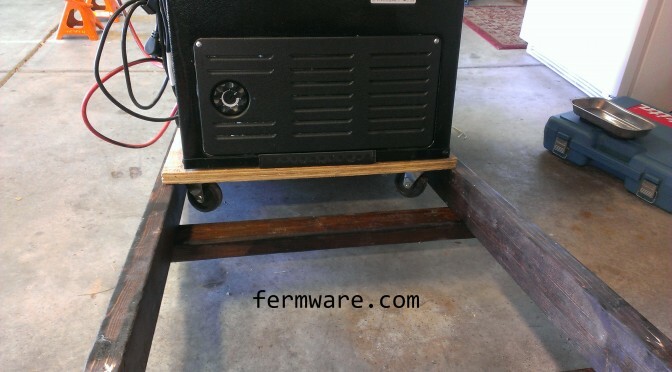 You’ll see on the post where the keezer is getting loaded onto the “ramp”, that the standard 3.5″ height of a 2×4 is just low enough to get my keezer dolly up onto, but if you need a little more clearance, you could put an optional cut into the end to get you what you need. Below is the cut list if your Bierwagen ends up matching mine. 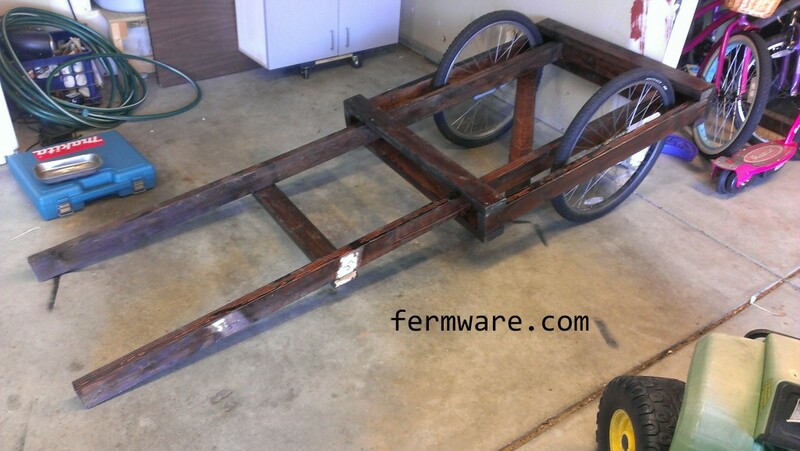 I was able to build my cart from a quantity of six, 2x4x96″ studs. The color coding is consistent with the downloadable guide. 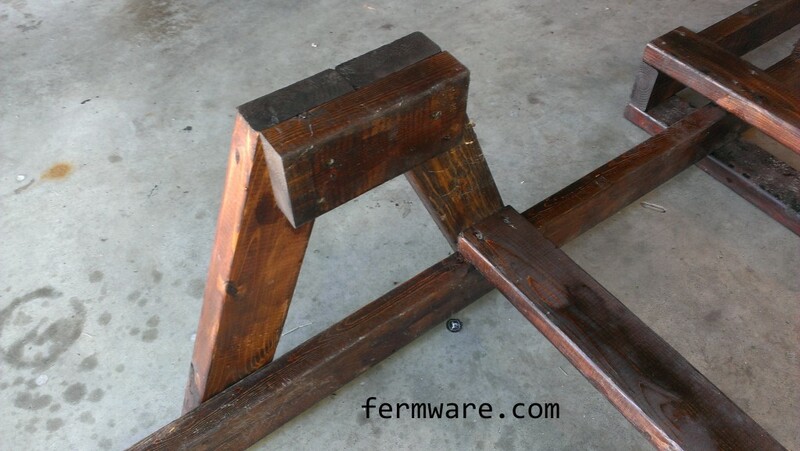 The legs and cross-member supports required mitered ends. The lengths shown are for the full-length board that you will then trim the angles in the boards. 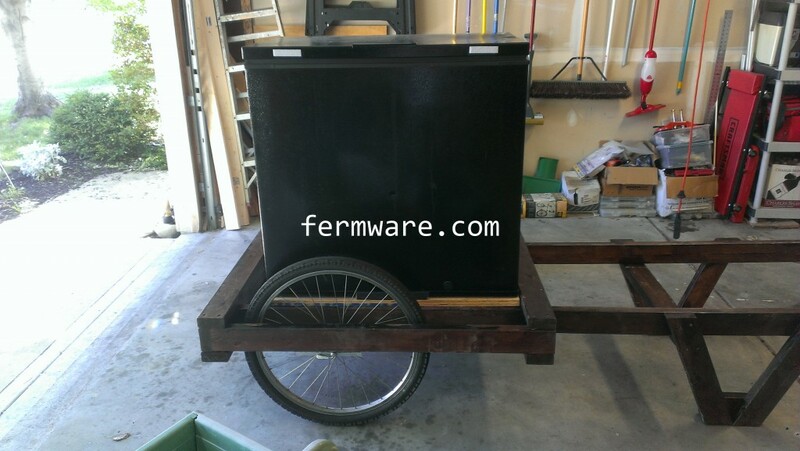 Of course, your keezer is most likely a different size and you may not even have a keezer dolly, so take my plans and modify them to suit your needs. The cut list is in an ideal world, so you may have to buy an extra 2×4 or if you are like me, you’ve always got some on hand for whatever needs may pop up.